Meet Tristin! Isn't he just the cutest?! He was one of the all time best little guys I have had the pleasure of photographing. He let me put him anyplace including in a flower pot. 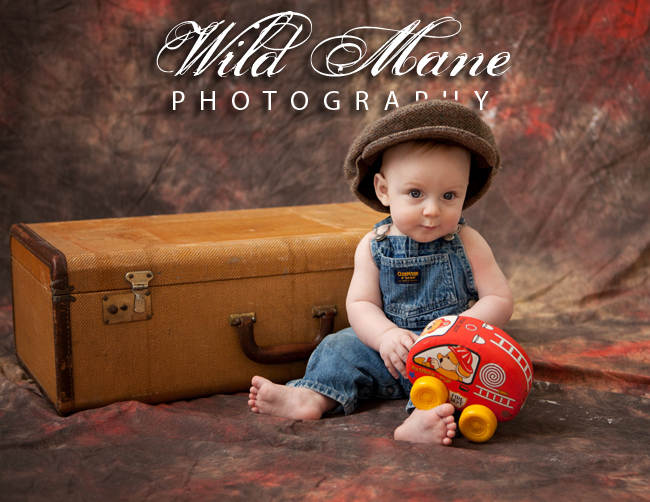 He wore that hat even though it was too big and not a whimper. What a little man he is. We changed clothes a bunch of times, too. His parents have to be very proud of this darling little fellow who has such a great personality. Below is a link to Thumbtack.com Yes, you can find photographers in your area but you can also look for lots of other services and read information about them. Check out Wild Mane Photography on Thumbtack! Thanks for the kind words. We love little Tristin.